Akris reversible bicolor wool-blend jacket. 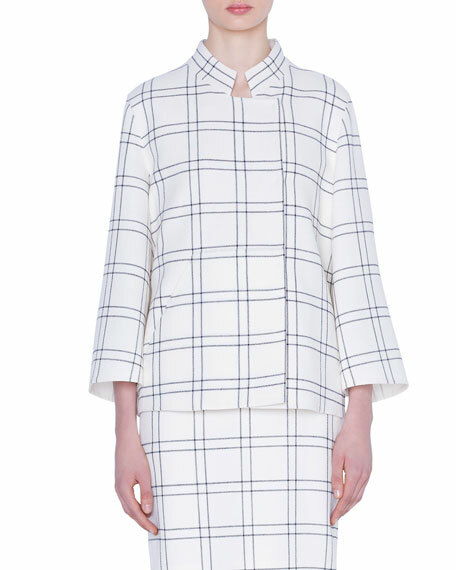 Notched collar; hidden snap front. For in-store inquiries, use sku #2297162. 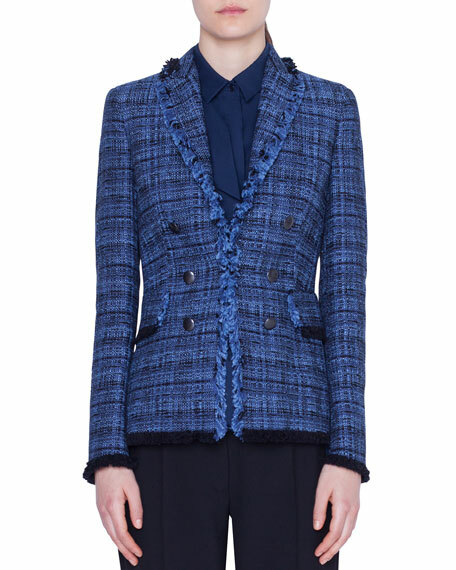 Akris "Clemence" jacket in windowpane wool-crêpe double face. Mock neckline; snap front. Bracelet sleeves. Hip patch pockets. Boxy shape. Straight hem. Wool/cotton. Cupro lining. Made in Italy. Fit note: Model is 5'10"/177cm and wears size US 2/S. 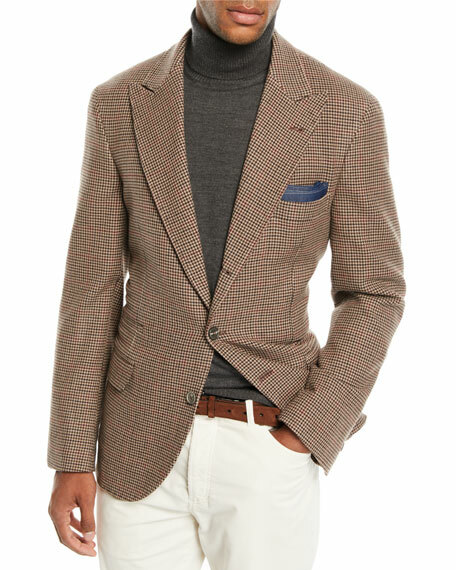 Brunello Cucinelli sport jacket in mini houndstooth. Notched collar; three-button front. Four-button cuffs. Welt pocket at left chest. Side flap pockets. Double back vent. Wool/cashmere. Made in Italy. 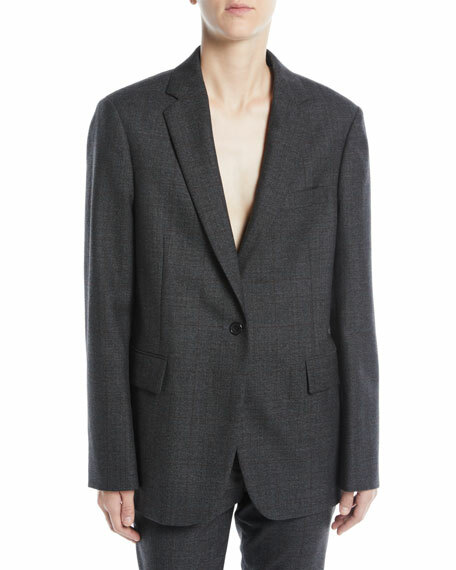 CALVIN KLEIN 205W39NYC jacket in blurred check worsted wool. Notched lapels; one-button front. Long sleeves; button cuffs. Side flap pockets. Slightly oversized fit. Cutaway hem. Made in Italy.